How's it going? 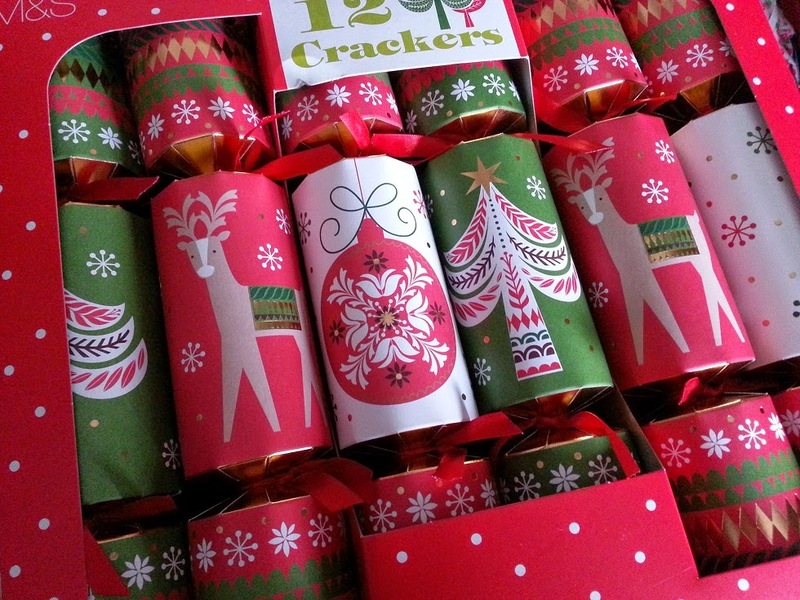 Busy with the cleaning, shopping, baking, wrapping and all that Christmas stuff? Yeah me too. 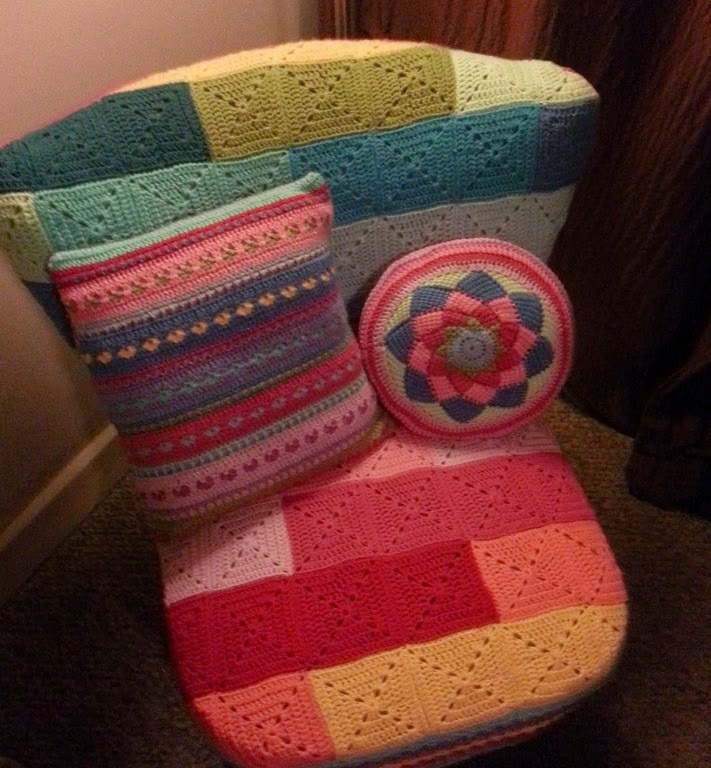 It's been my ulitmate goal over the last week to be able to sit down and crochet something, anything! 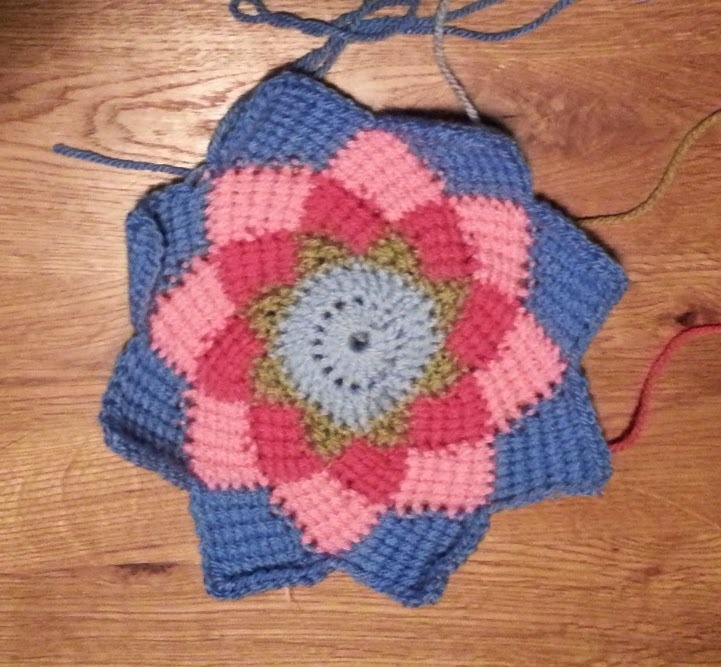 I've been sneaking in five minutes where I can but with nothing big on the go it's not been the most productive of ways to crochet. 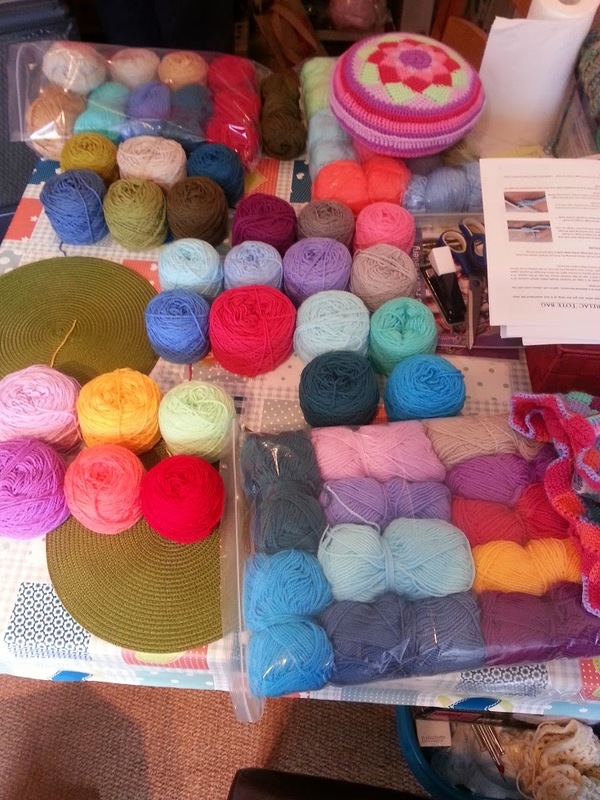 It hasn't stopped me being surrounded with wooly delights though, my house is looking thoroughly yarnbombed! Excuse all the decorations pictures, I just love them so much! 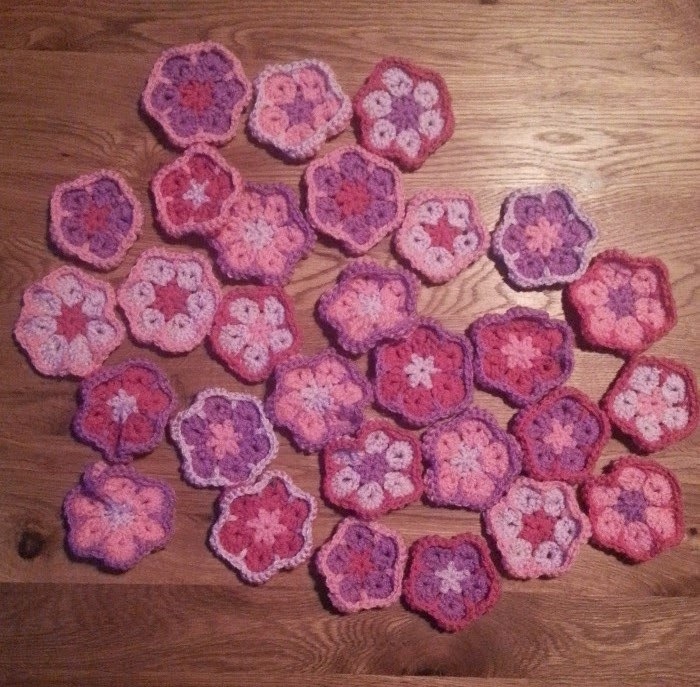 Not much left but enough to play with in one of my spare five minute crochet breaks. 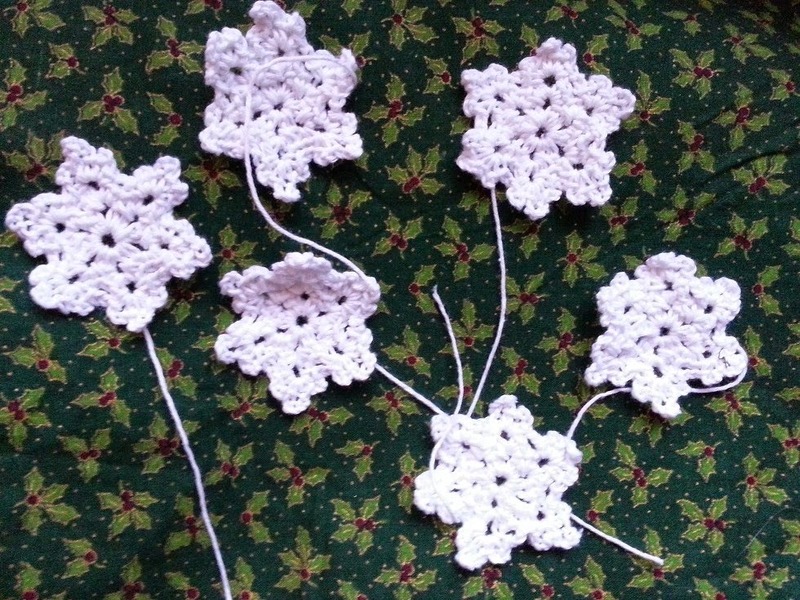 I found myself making some little dinky snowflakes, so teensy and delicate. 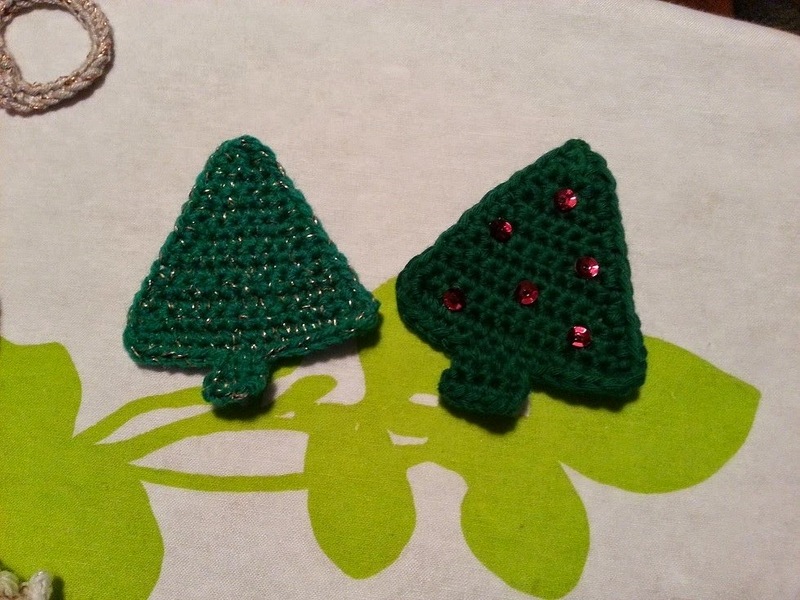 I had thought about blocking them with PVA to stiffen them up to hang somewhere and maybe adding some glitter to the PVA to give them a sparkle. 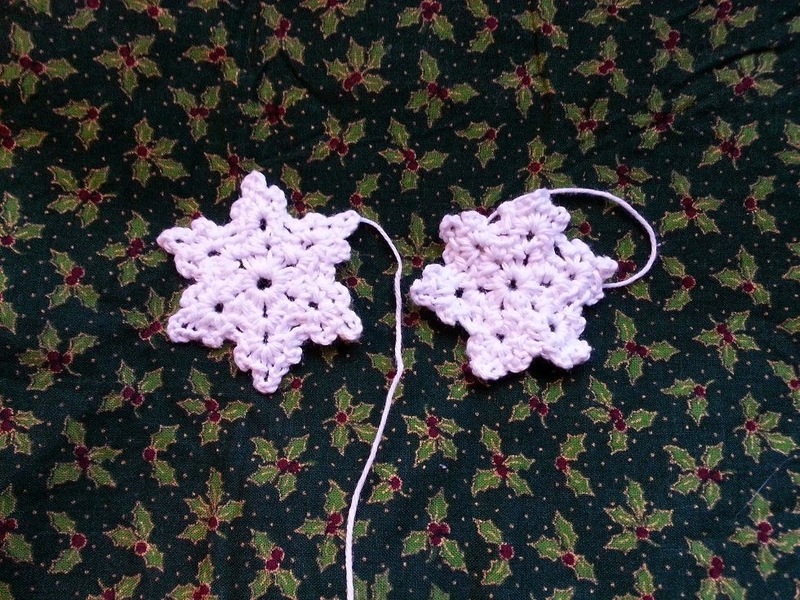 You can see the difference here between the blocked and unblocked snowflakes, it really does make the little bit of pinning, starching and ironing worth while. I then had visions of a sparkly snowflake window dressing for Christmas, to hang like a sort of curtain but I have only made six! as they are so small that would take a lot longer then the couple of days left until the 25th so not the best idea for this year. 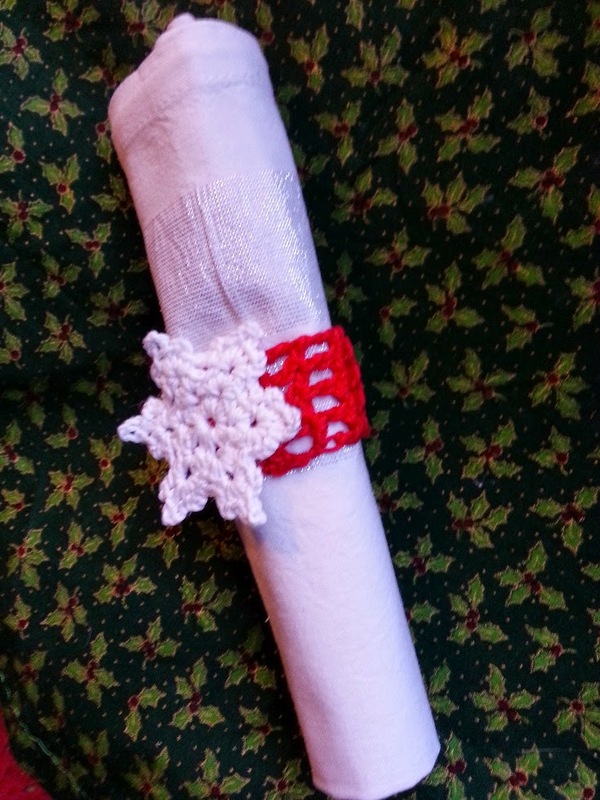 In keeping with these more rustic crackers I thought I would turn the snowflakes into napkin rings! 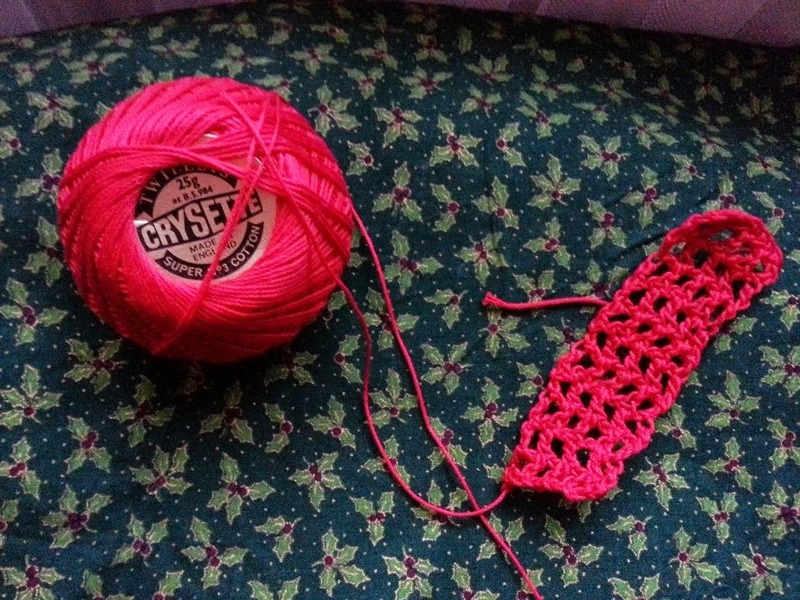 I had a rummage through my yarn stash and found some ancient red cotton acquired from my Granny. I don't know what she had intended it for but it's a lovely bright red so I hooked up a little mesh effect ring to sew the snowflake onto. Yes very pleased with that and only took a few minutes to make so I should be able to find time to knock up another six. 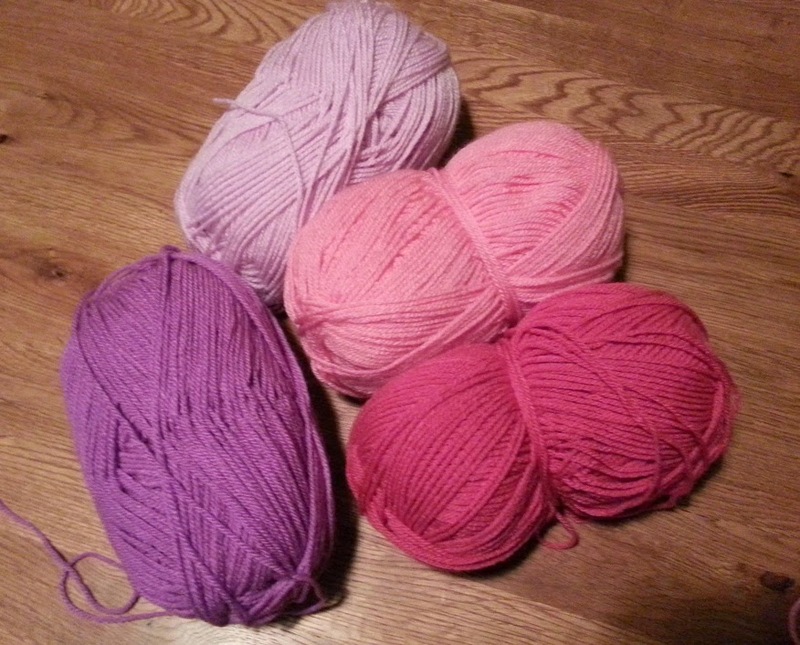 I have asked Mr M. for a pack of yarn for Christmas and if I am lucky enough to get it I am going to start a new blanket! I really can't wait to get my hands on something substantial and sit down for hour after hour of happy hooky. 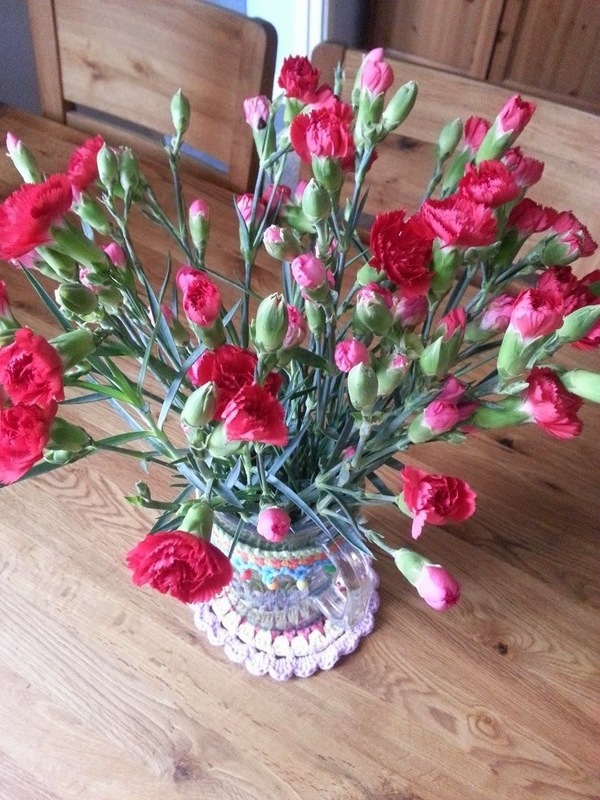 I do wish you a very Merry Christmas and thank you for coming to look at my blog this year, it means so much to me that you have taken the time to read my ramblings. I know I haven't been about much on here lately, I am still ironing out the kinks in my daily routine with new working hours and things, I plan to be much more organised in 2015 and have lots of ideas buzzing around that I can't wait to get started on! Phew what a week! There were good reasons I'm sure as to why we decided to decorate the dining room before Christmas, and we managed it, we got it all done and looking lovely last weekend. The trouble with that was that it really showed up how shabby and tired looking the living room was. I really wanted to get it all nice and ship-shape but thought there was simply not enough time to do it what with all the other things to do in December. Absolutely not going to do it until 2015, apart from somehow being talked into just doing a door by Mr. M and ending up spending my Saturday in an epic paint-a-thon doing the whole room! 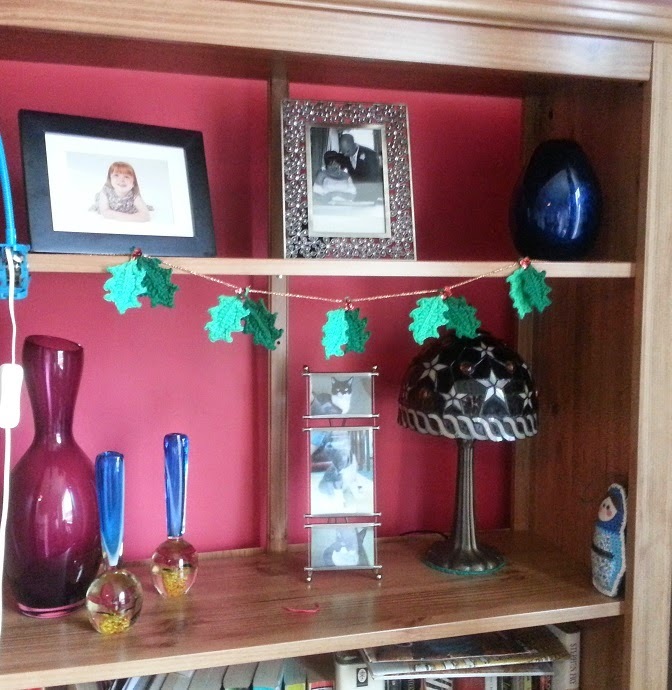 So exhausted and achy but with a lovely fresh, clean room to sit in I could finally get my Christmas decorations out. We went out and got our Christmas tree on Friday but what with all the decorating I have only just got it up finished today and it is so pretty! Oh and that smell of pine, I love it. 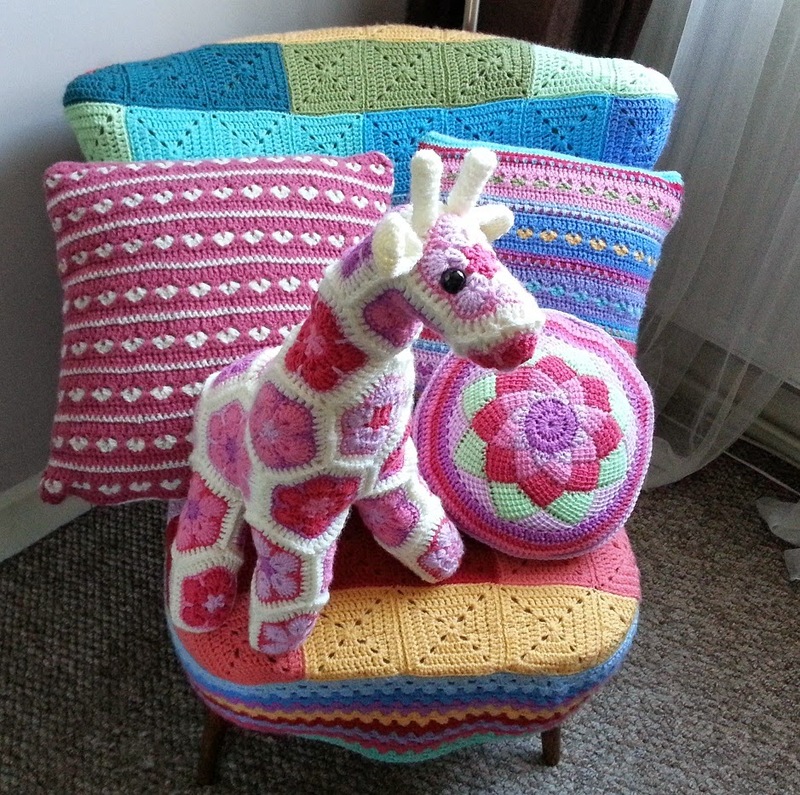 I had thought that I had plenty of things to decorate the house with, home made crochet bits, but I really think a bit more couldn't hurt. 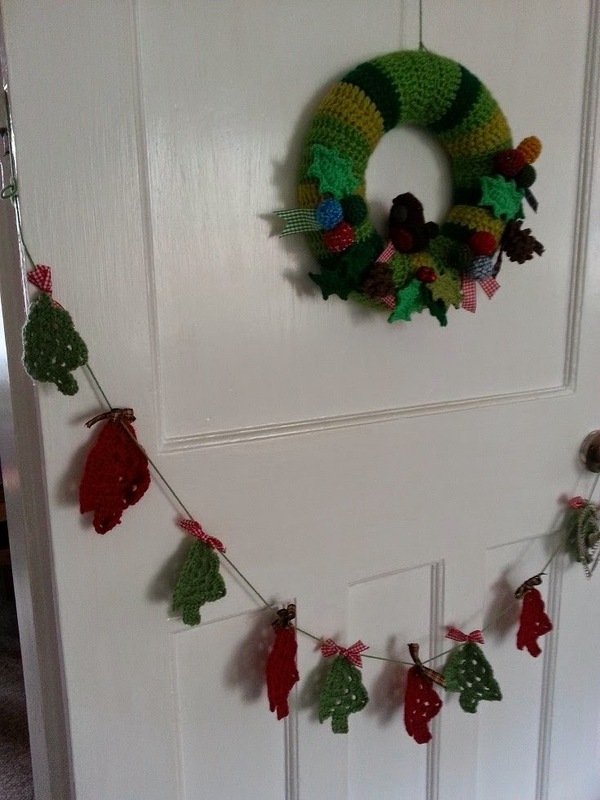 I made this string of holly and some Christmas trees but still, I really think I need some more bits, Im sure I could squeeze it in somewhere. It looks a bit sparse in this picture but that was because I was giddy at trying to get some pictures taken while we had some good light today, it is now far more busy, as is my mantle. 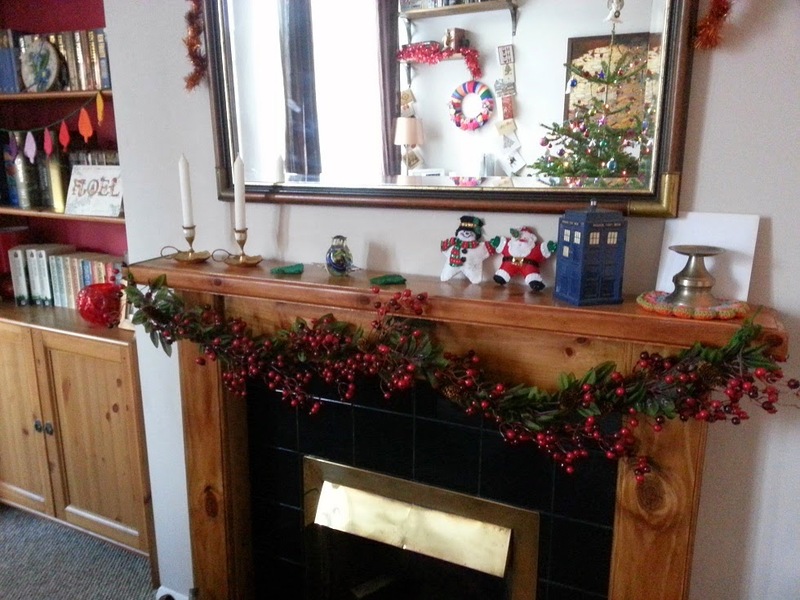 I am so lucky that I have two mantle pieces to decorate; the one in the dining room is newly renovated too and has an open fire. 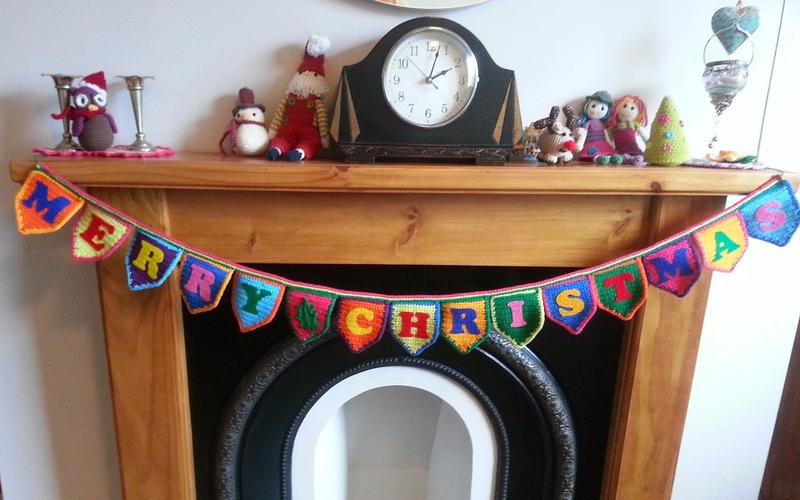 I have strung up my usual berry garland on there, not home made but fire proof and I am a bit worried about changing it for something yarny what with it being a proper fire. I really am feeling very Christmassy now, I've even got the bulk of the shopping done today in a fit of productivity. 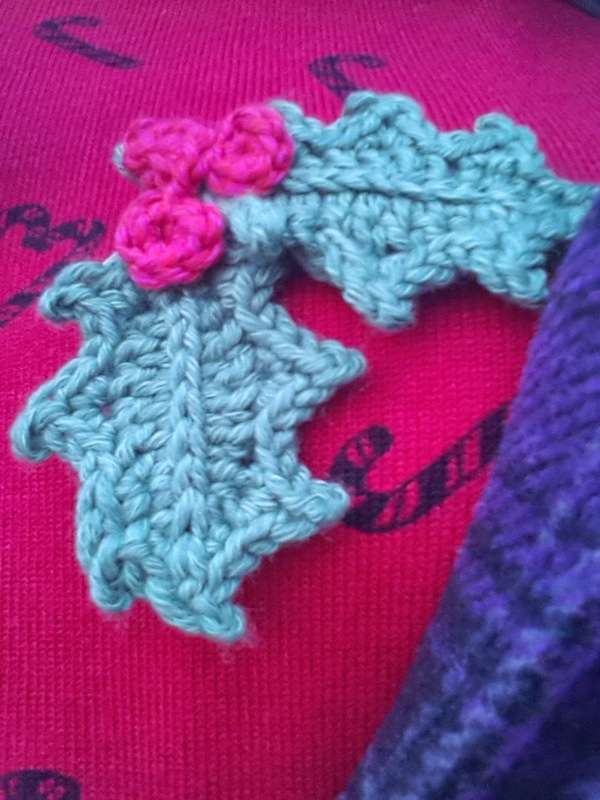 I've been wearing Christmas jumpers a lot and made myself a little holly brooch too. Why did I think that decorating the dining room in December was a good idea? I have been up to my eyes in sandpaper, mess, undercoat, mess, paint, mess and general mess for over a week now. But with a lot of grafting yesterday we have finally got it (verynearlyalmost) finished! 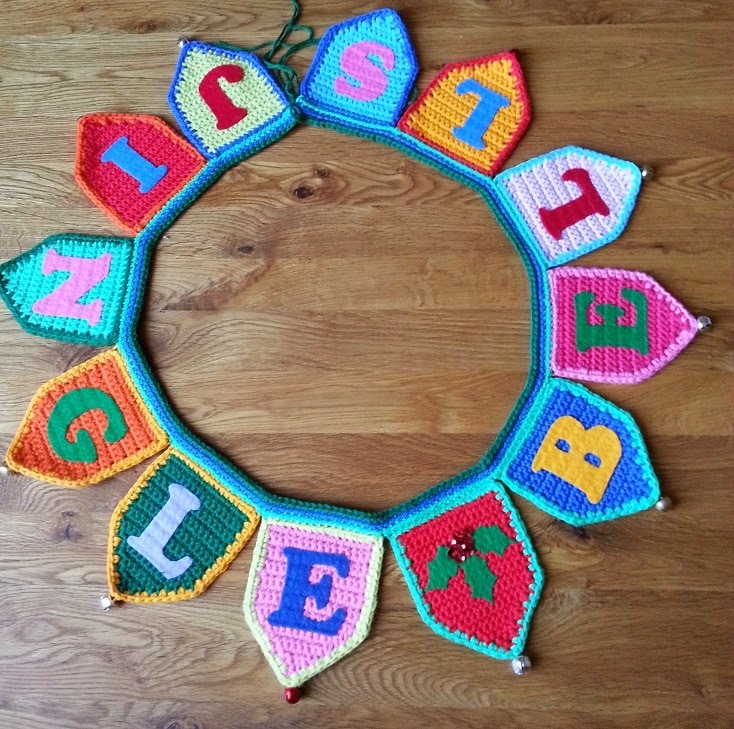 Just a couple of little finishing touches and it will be all ready for our Christmas tree that we will be popping out to get later in the week. It is a bit of a ritual of ours, going to buy the tree. 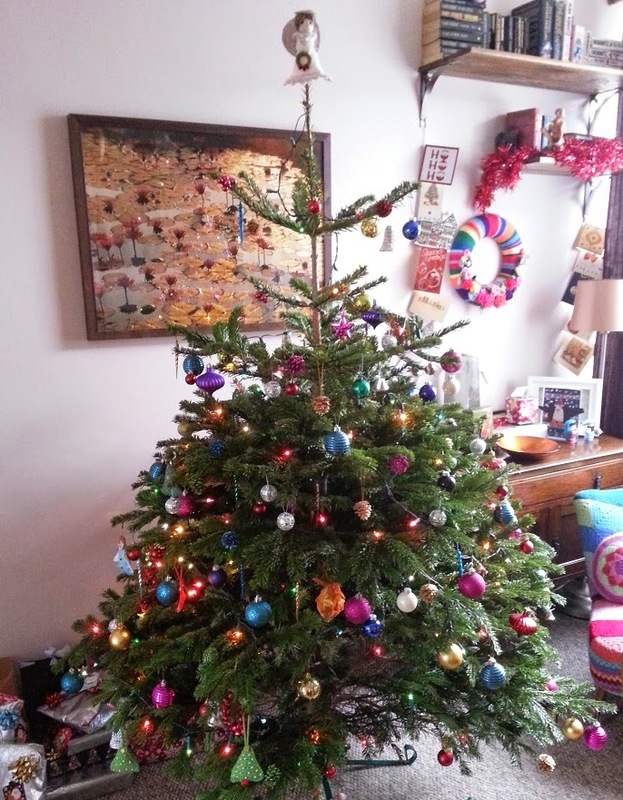 When we get it home I stick some Christmas music on, pour myself a large mug of mulled wine and decorate the tree with as much colour and sparkle as I can throw at it. 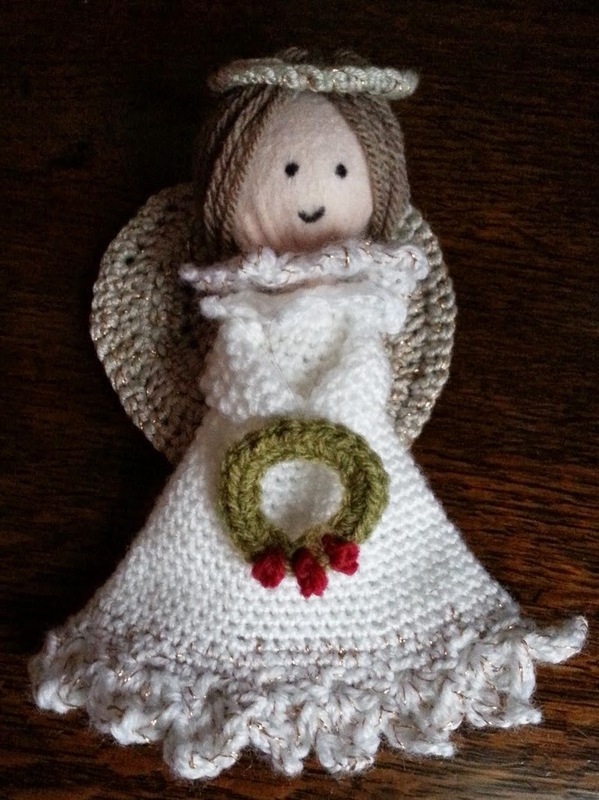 I have been sorting through some of the decorations in preparation and found the emergency angel that I made for last year, after discovering that my sparkly pound-shop star didn't fit. 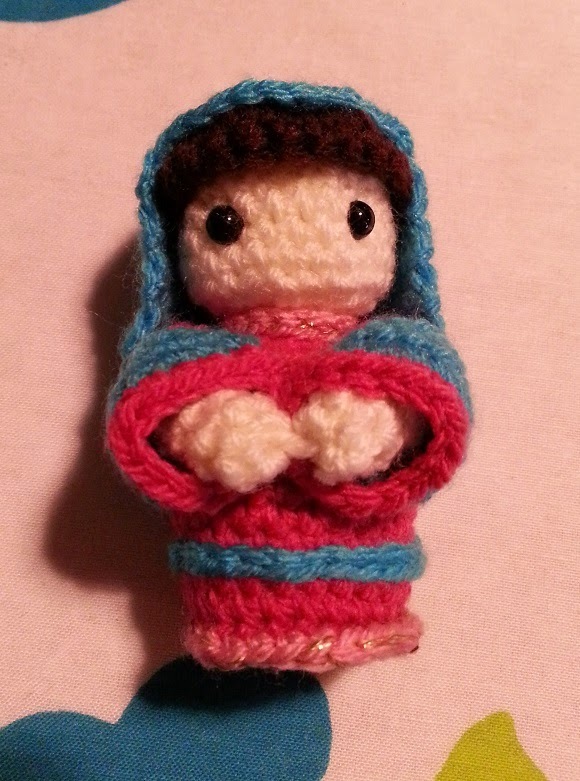 She really was an emergency angel, no plan or pattern just a quick thing that did the job. I really do quite like the general shape and design of her, all apart from her head. I think I grabbed a small bauble and wrapped some felt around it and drew her face on with a clothes marker, I didn't do a great job so this week I am going to make her a proper head, with proper eyes and try to neatly embroider a smile. As well as the late nights painting I have been making slow progress with my nativity. 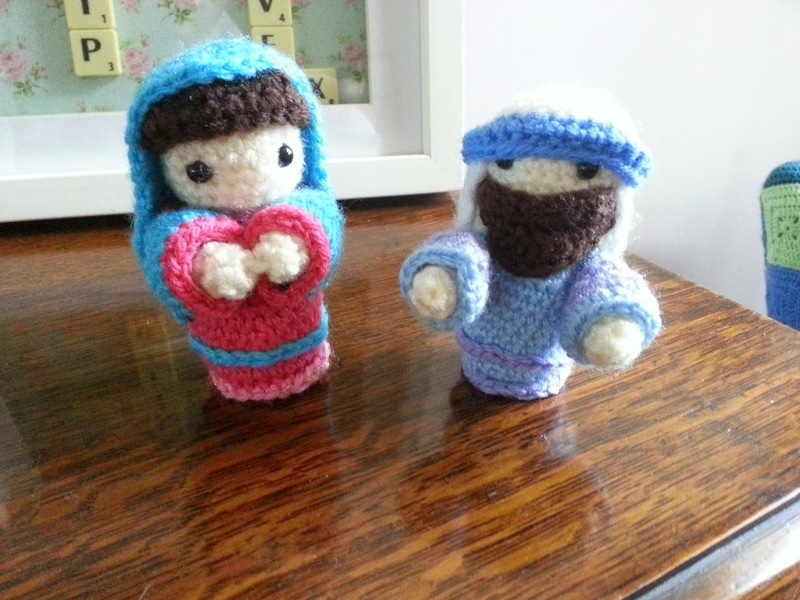 I couldn't find my original Joseph anywhere so I've had to make another one. So far I am not really enjoying this nativity but I have a feeling that as the collection of figures grows the enjoyment will grow too. Oh yes, how could I forget Santa, or as Mr M. is calling him, Chuckie Claus! As you can see, it's not big enough by a long way! 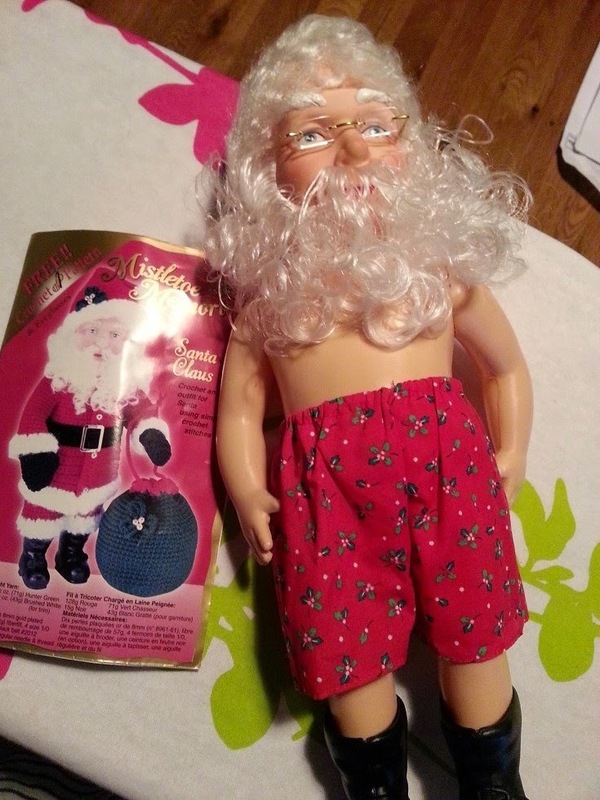 So unless Santa has decided to start wearing little bolero jackets I am going to have to have a rethink. 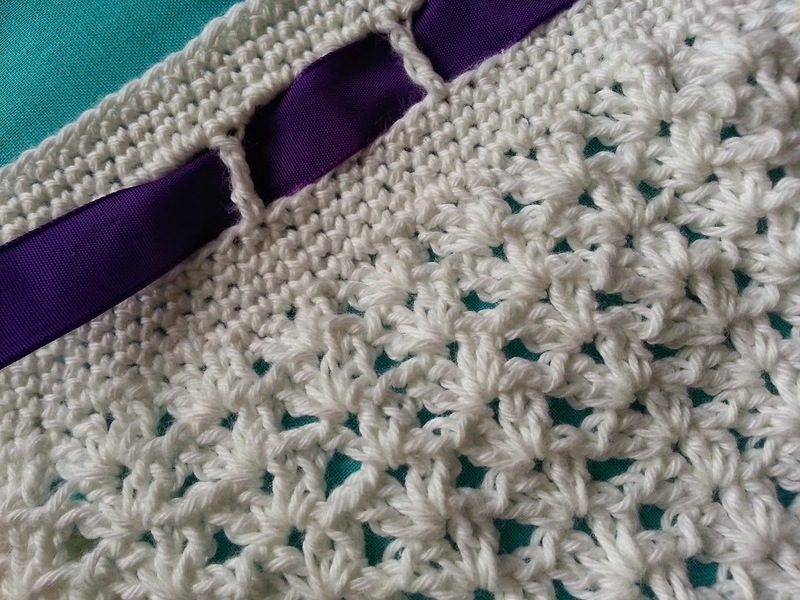 I may end up making up my own pattern or maybe using aran weight yarn instead of double knit will do the trick. 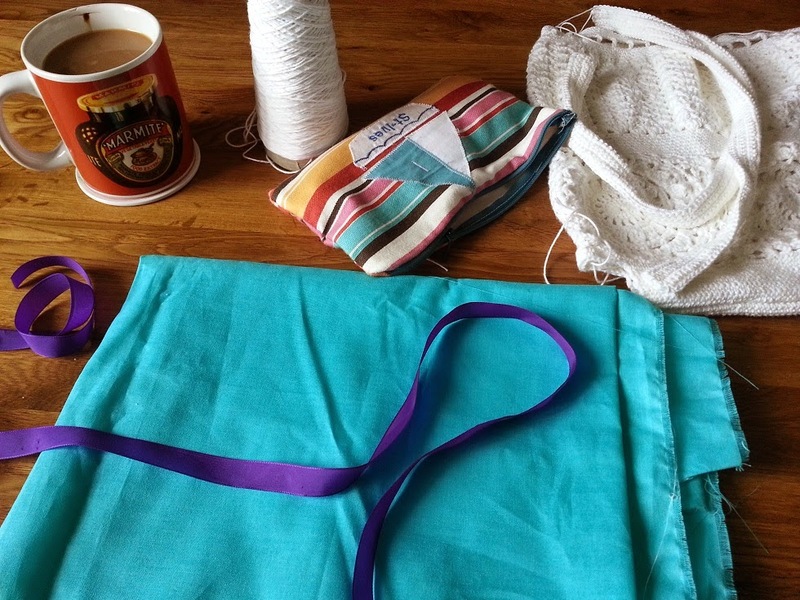 With all these little bits and pieces to do I am really craving a large project and would love to make a new blanket. 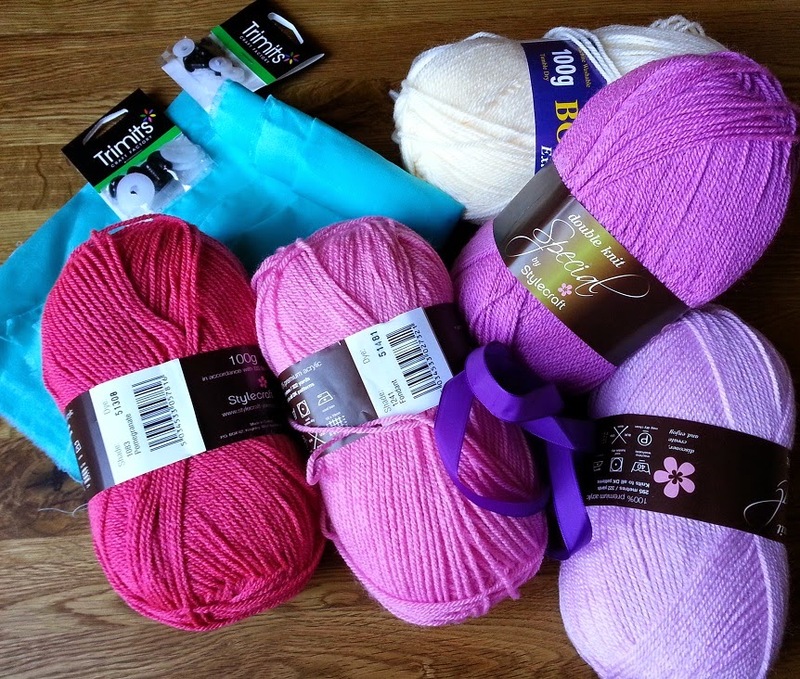 I have asked for a pack of chunky yarn for Christmas and I do hope I am lucky enough to get it so I can start a big, new, warm, cuddly blanket in the new year. After what feels like weeks or perpetual darkness the sun finally came out for a while yesterday! It has been so grey and wet here I have really struggled to take any pictures, most of my last Ta-dah photos were taken right next to a window or outside with as many lamps as I could angle on to them just to get some idea of the colours. 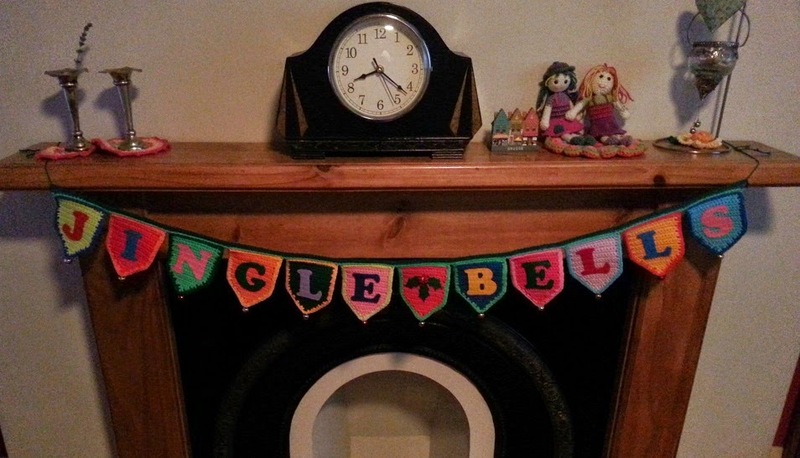 Therefore the first thing I did yesterday morning (after the essential coffee) was take a picture of my new Jingle Bells bunting! 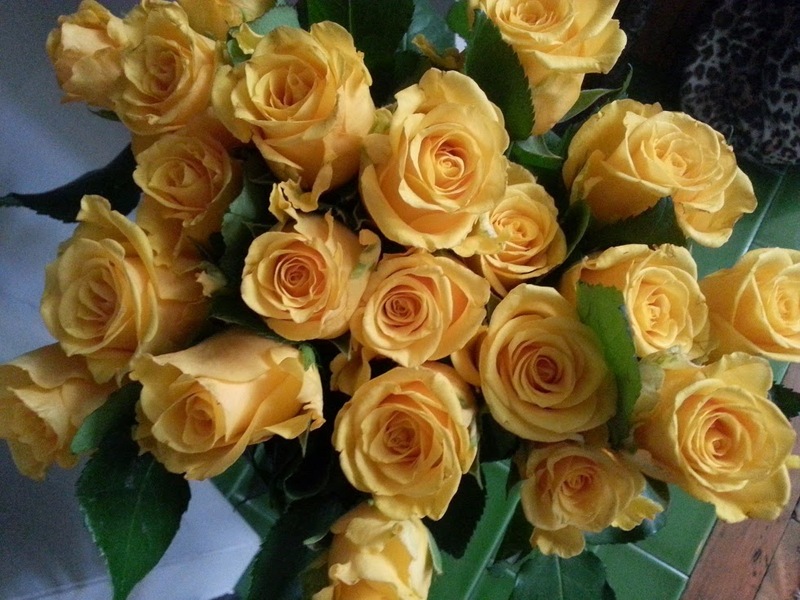 I LOVE it, so bright and cheery. 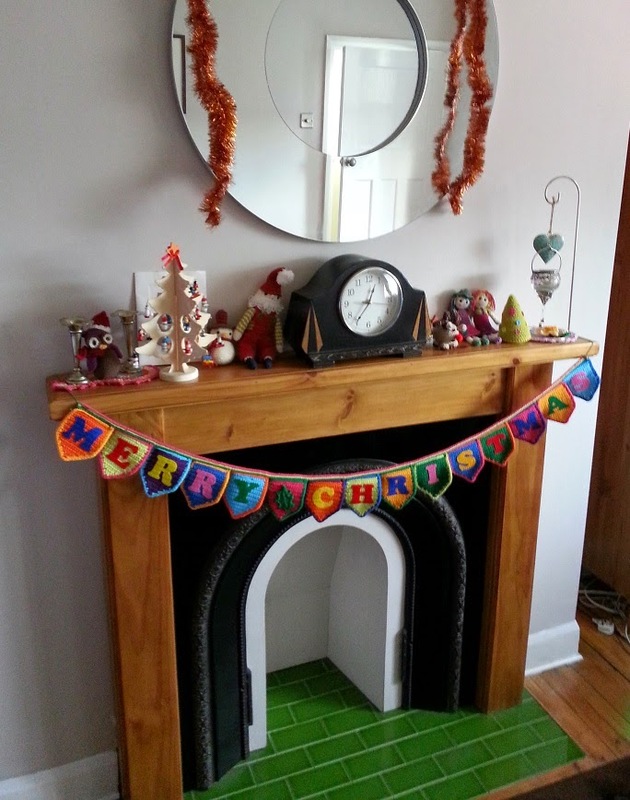 I am normally one of those that waits until the middle of December to put their Christmas decorations up but I really am feeling very festive and not sure how long I can wait! It was nice while it lasted, I did a bit of shopping and pottering around the house but today was back to the usual murky grey of winter and bad photographs. 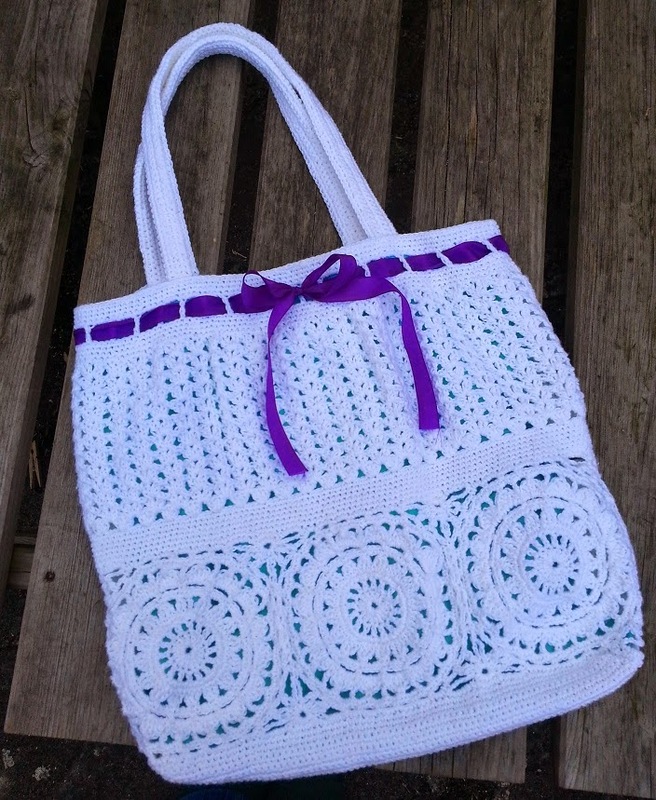 She was quite fiddly for such a little thing and took aaages. 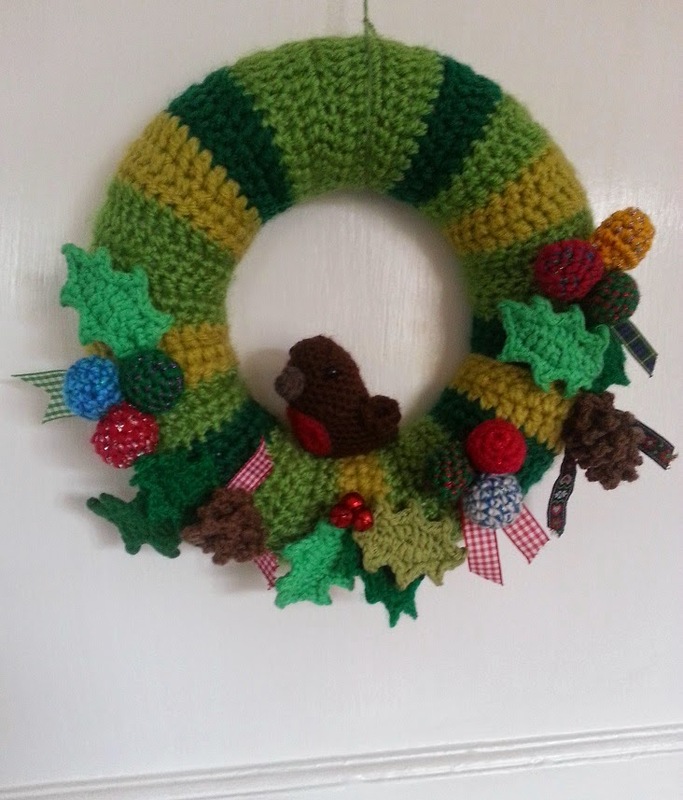 Not sure I fancy making the rest just yet, they might be a thing for Christmas 2015, now that is thinking ahead! 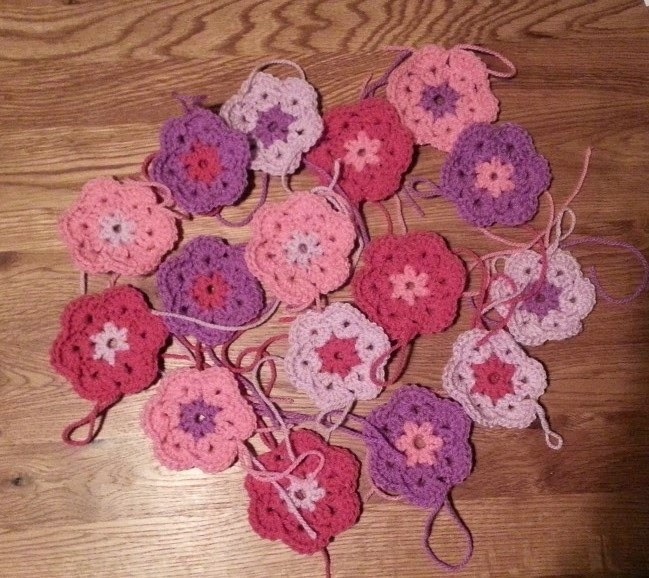 I'm having a few days off before my new job starts on Monday and this afternoon I have been busily sorting out a few pieces of crochet ready to put the final touches to them. 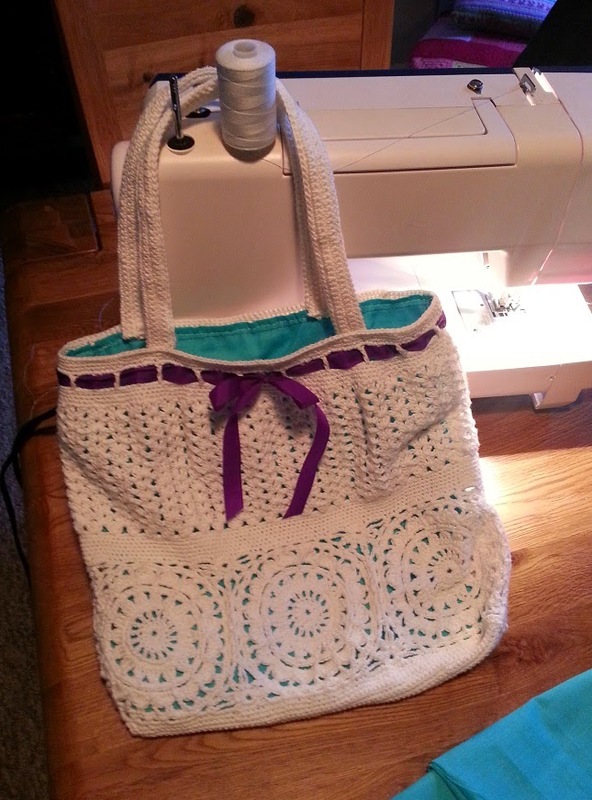 As I said in my last post I have been having trouble settling to any crochet lately, there are lots of reasons why, one of which is that the things I have to make are things that I have to make - there are deadlines and this was taking some of the enjoyment out of it. 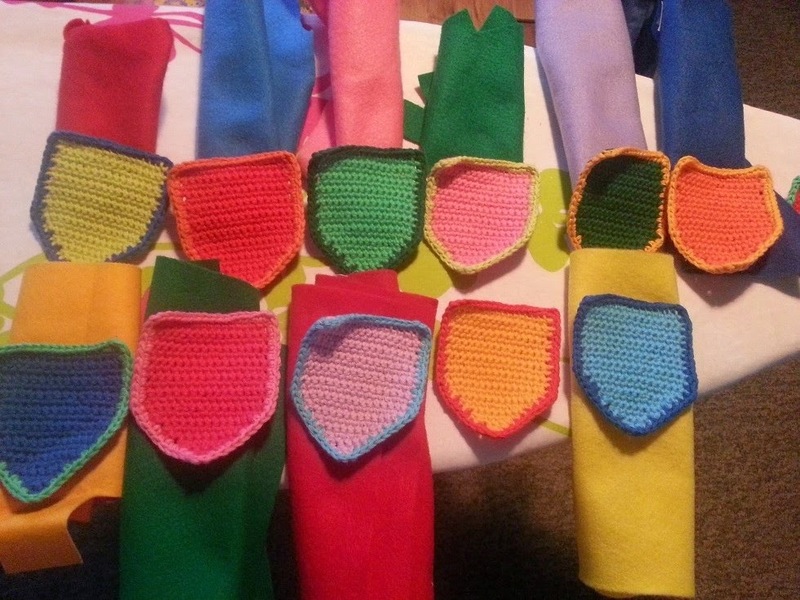 Without even really thinking about it I grabbed some of my Rico creative cotton on Sunday and started making some bunting, just the very thing to get me back into the swing of crocheting, no deadline, no worry just lots of lovely bright colours! 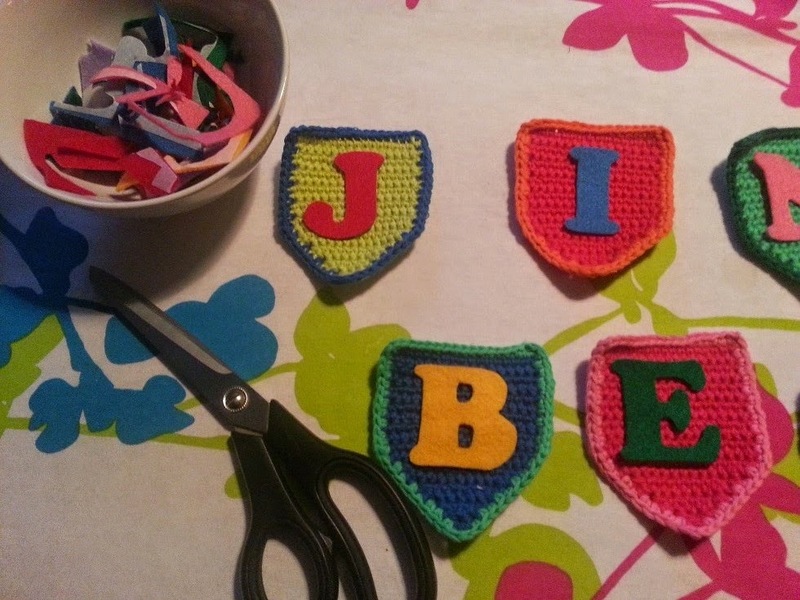 I have thoroughly enjoyed making the little flags that make up the bunting and matching the felt up to the flags for the lettering. Even the fiddly tracing, cutting out and ironing on of the letters has been fun. 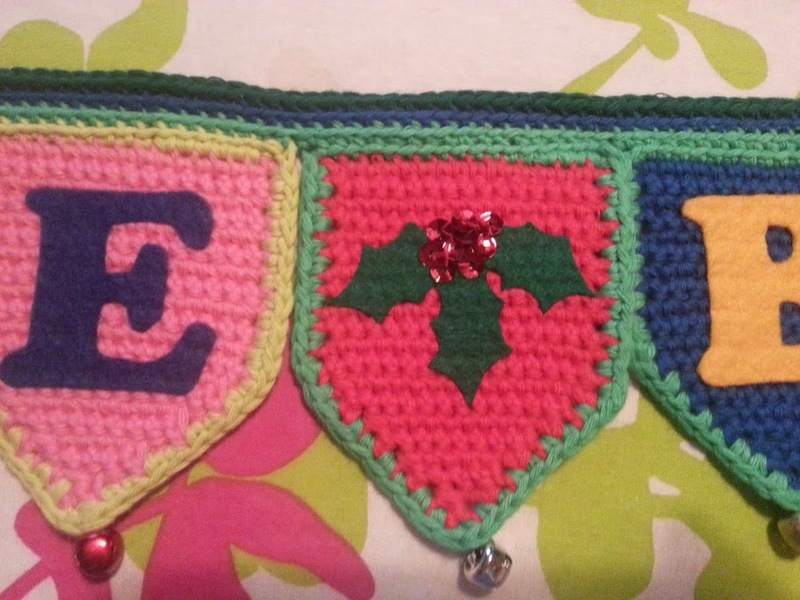 I am feeling a bit festive so decided this would be more Christmas bunting. As I already have a Merry Christmas I have opted for Jingle Bells on this and I think it works very well. 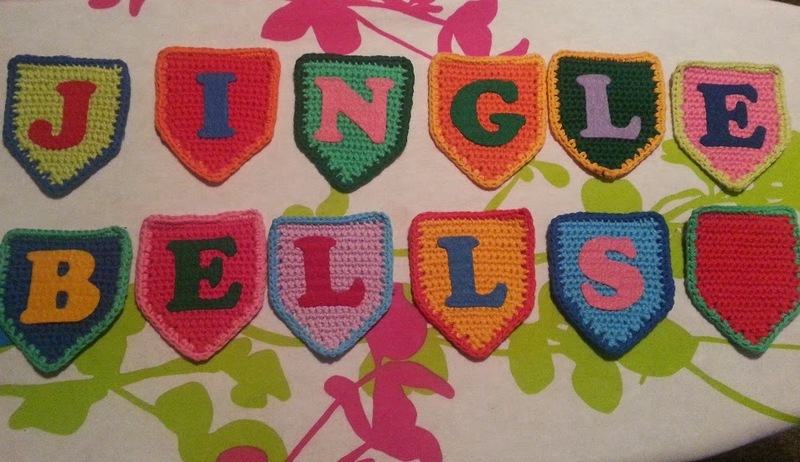 I might add a few jingly bells to the bottoms of the flags if I can find them. This could be a present or I might keep it for myself, I haven't quite decided yet. As tempting as it is to keep it I really am not sure where I would hang it, I have so many other things to hang up! 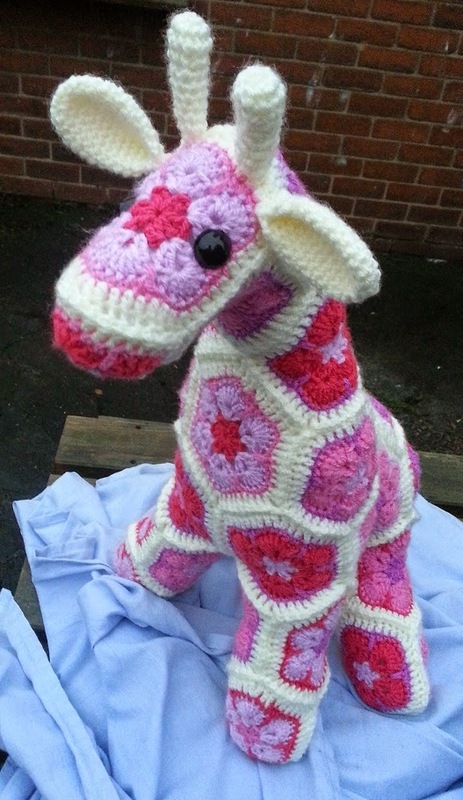 They are a riot of pinks and purple like this but the body of this giraffe is going to be in cream, I hope that stops it being quite so garish but as it is destined to be a present for a little girl I don't think there can really be too much pink. Lots left to do but lots nearly done and a few more days off to enjoy some quiet hooky time. Oh my poor neglected blog. It has been two whole weeks since I sat down and paid any attention to it. 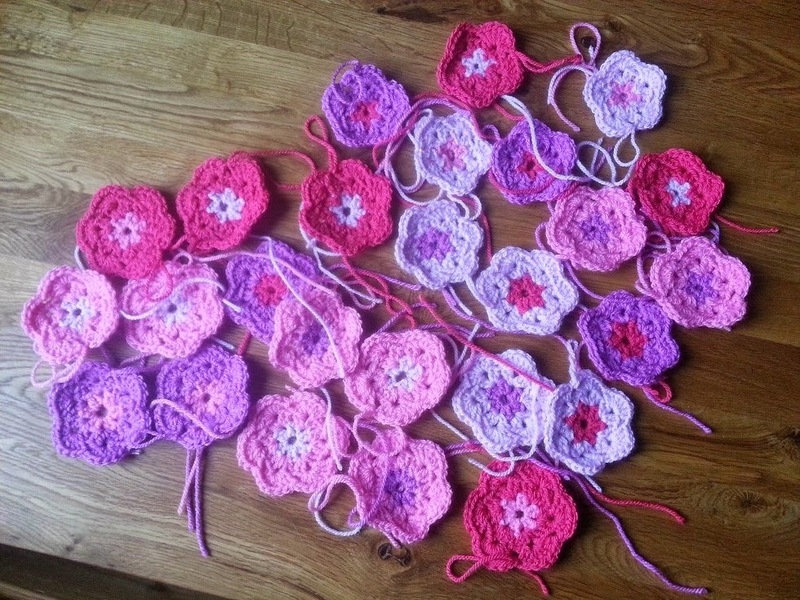 It has been a very difficult week or two, I have had so much going on I haven't been able to concentrate on any crochet at all. 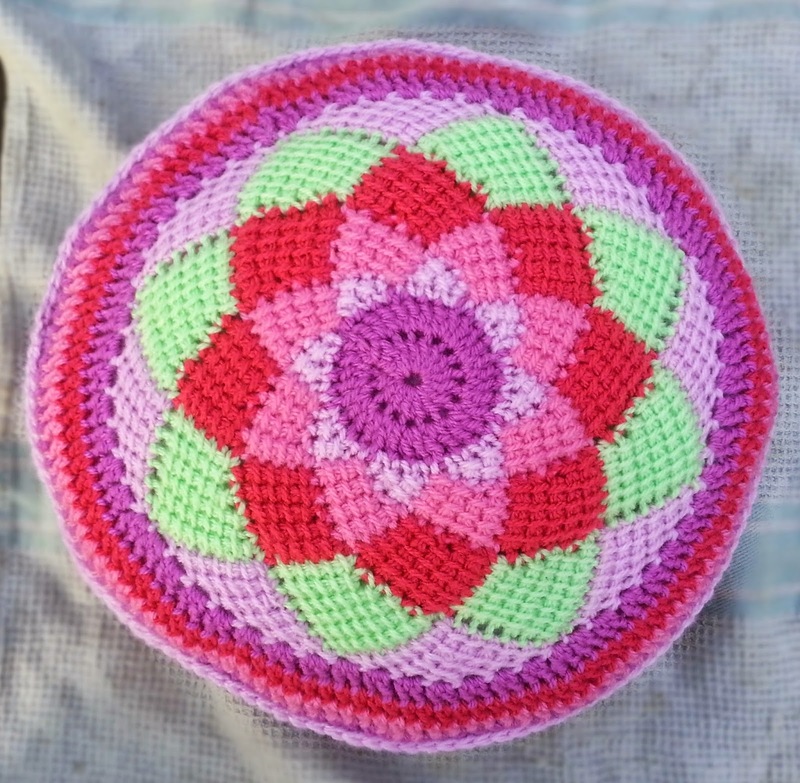 Usually I can always find the time to crochet, and it helps me through whatever is happening, like a kind of meditation. 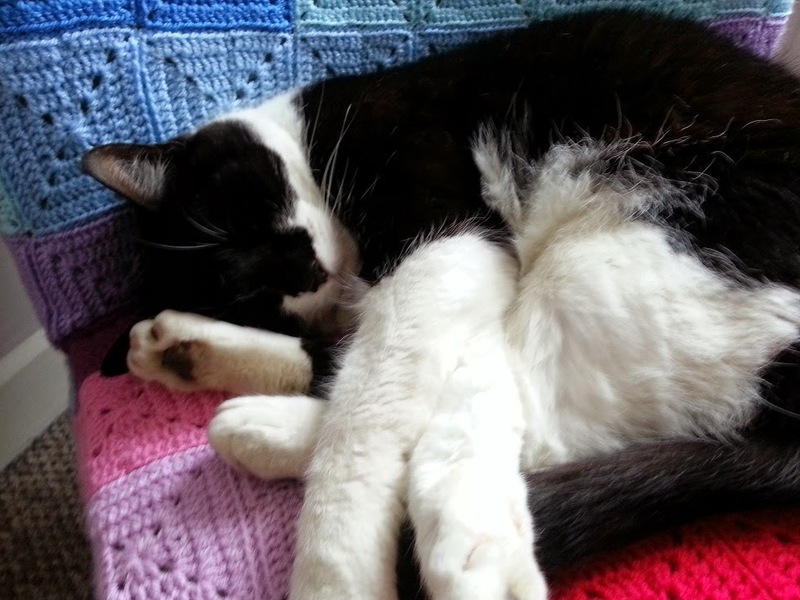 Not this time, I have been far too upset with what has happened to my wonderful kitty cat to concentrate on crocheting. 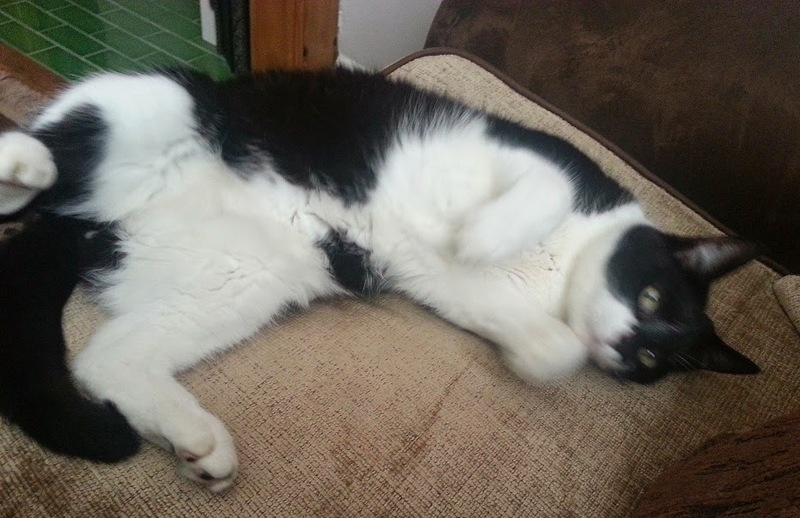 My poor George took ill last week and we had to say good bye to him on Thursday. To say I was/am upset is a bit of an understatement. I know a lot of people don't get how attached people can be to their pets but he really was part of our little family and to lose him at such a young age and to such a horrible illness is just devastating. Such a mischievous and happy little fella, I miss him so much. Not convinced that slippers are a good birthday present? 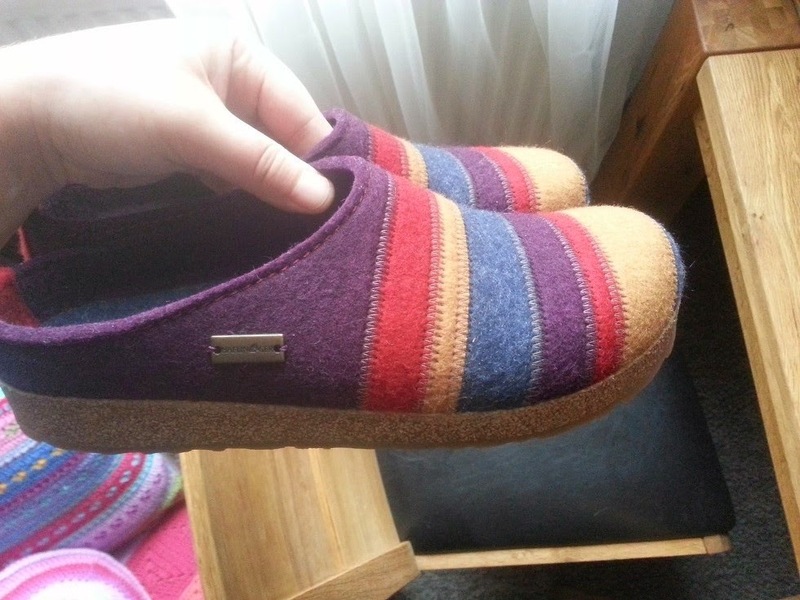 Ohh how wrong you are, these aren't just any slippers, they are Halflinger slippers. I got my first pair two years ago and they have been pretty much glued to my feet since, they are the comfiest, cosiest, bestest slippers ever! I also got some great news on Monday and I will be starting a new job in December! 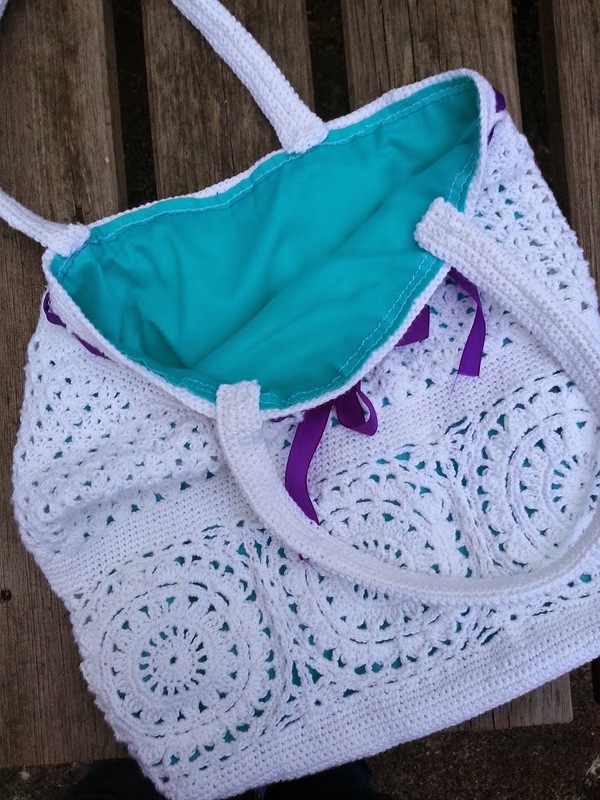 I am thrilled with this as it will be a big career change for me and should give me lots more time to crochet, write patterns and blog! I hope you are all OK and getting through these dreary November days in warmth and comfort. 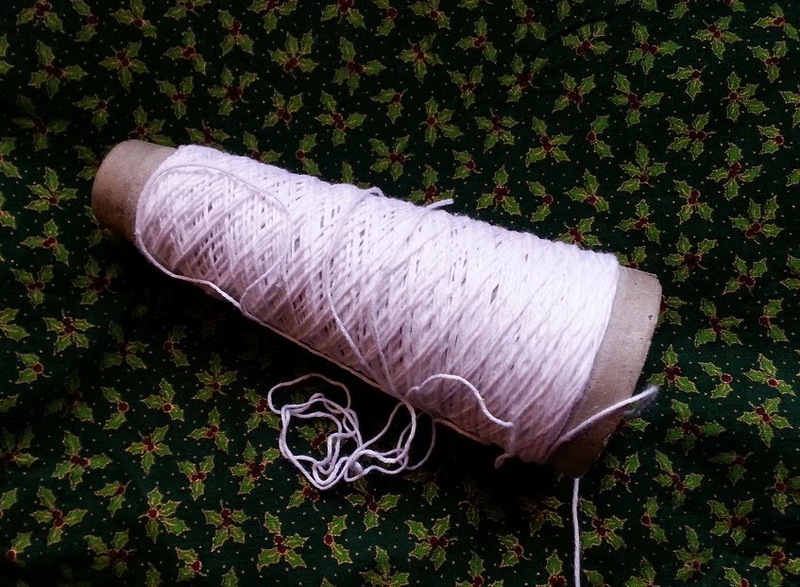 This morning I have picked up my hook for the first time in days so I can get cracking with the backlog of Christmas things I need to do. 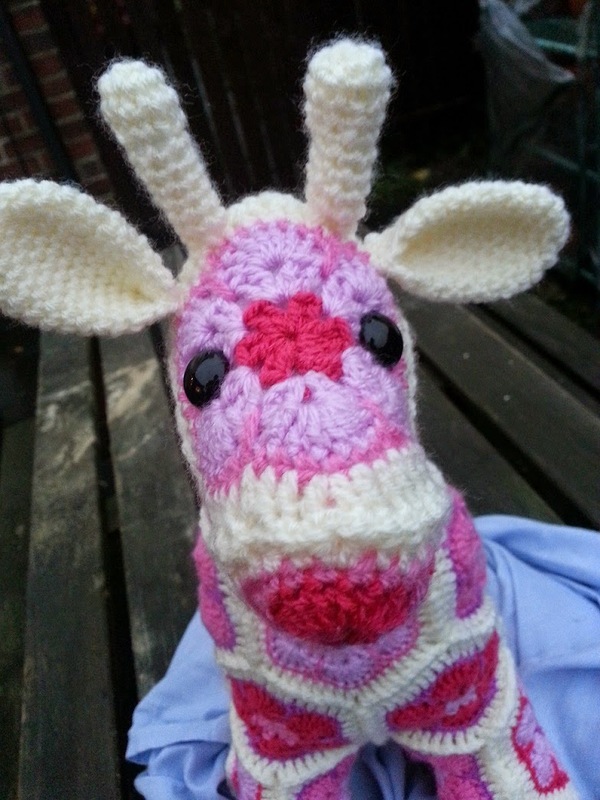 I have really enjoyed making some more African flowers for Giraffe number two, it feels like a little bit of normality after such a trying week. 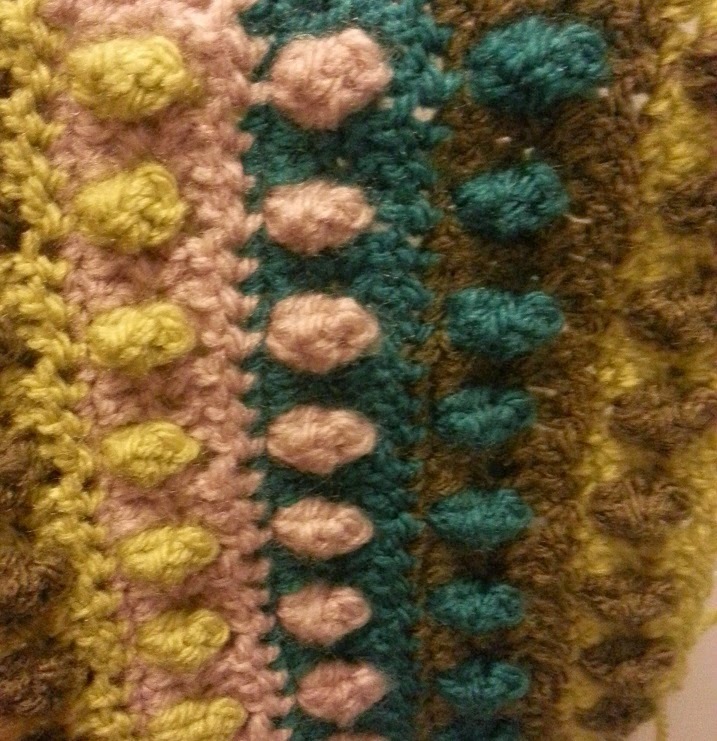 Crochet therapy, you can't beat it.